You have ten seconds to get your hair done and to run to wherever you have to, what do you do? Do you leave your hair in a shabby mess and blame the wind and the elements out there? This is now the true mark of a fashionista. Let’s help you then in getting dolled up and having the most beautiful hairstyles, so chic and apt for the occasion in less than ten seconds; shall we? This is an apt hairdo for early meetings, and for women that do not have the time to deck the hair up in a fancy French knot or a braid. The twisted halo as the name suggests is a no-fuss hairstyle that can make heads turn, and although it is simple and chic, it can be a fashion statement when worn right. Check out the step by step info graph below. 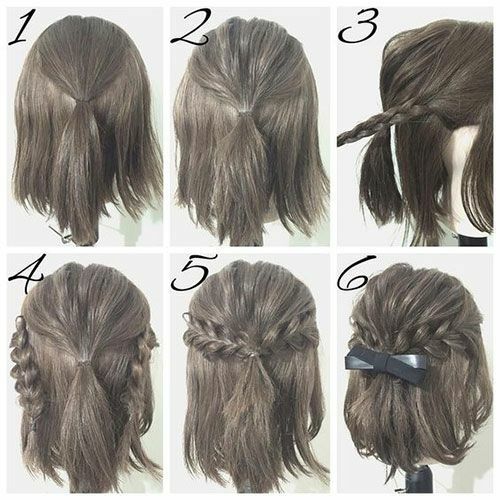 Quite feminine and very cute to wear, the half up prom braided hairstyle is for girls with short to medium length hair. Two braids on the side and a ponytail in the middle is all that you would need to do in ten seconds or less – not a challenge we say! For an elegant event to attend or for a very important client meet, where your grooming would be noticed quite precariously, one can try this hairstyle. It takes less than ten seconds we promise and keeps the hair neat in place. A simple hair pin or a hair clip can make it look prettier. Most would look at the style and wonder how long it took to get this look; secret is out, it doesn’t take more than ten seconds. Comb your hair and make two braids on either side of the head – the hair in the middle forms a low pony which culminates with both braids and you are done. 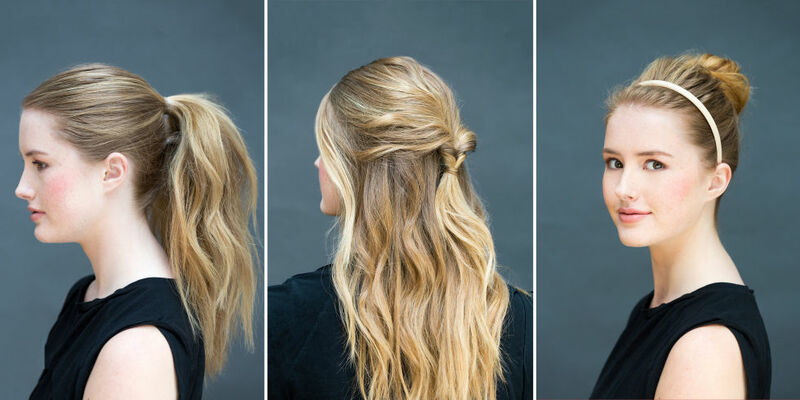 Perfect for Friday dressing or for college girls to wear daily, one just needs to partition their hair at the radial, and form a high messy bun with a clip. Let the remaining hair stay loose and head out of the door to begin your day. To look cute and chic, feminine and gorgeous with a hairstyle that doesn’t take more than ten seconds, one needs to be in the real world and not just dream of it. Partition your hair into two sections from the middle and two from the radial. Comb the hair backwards per section into ponytails. Twist the pony and form two low buns on the nape of the neck. The rest should be pinned. A clip to secure the hair bow would be needed, and the rest of the hair can be left hanging or falling loose. This is a style that wouldn’t take more than ten seconds; the bow should be messier than what is shown for a quirky touch to come through.